New blog, one year later. And the blog is alive! My last entry was in December 2014, right after we moved to the Philippines. Wow, things have been busy. I am so glad we were able to spend a year in Manila. It was so nice reconnecting with my family and friends. 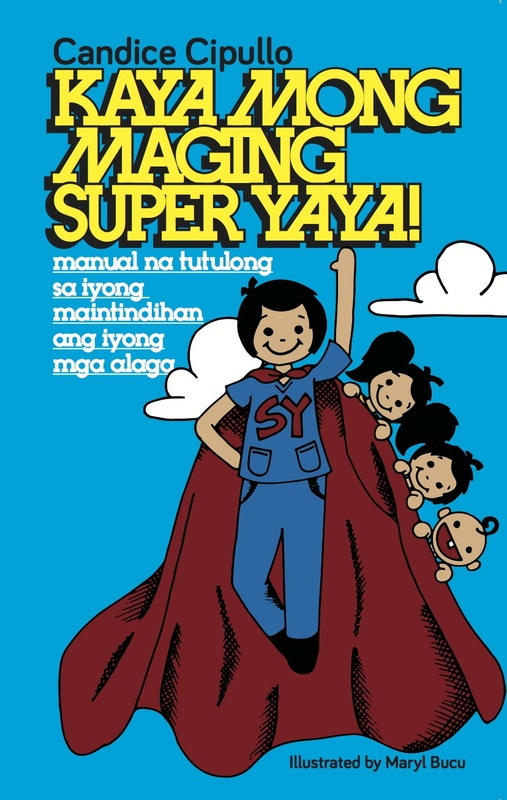 It was so fulfilling to be able to share my experiences in child care through my Yaya (nanny) education classes and the two books I was so busy writing and promoting, as well as share my time and talent with my music ministry and music classes for young children and their parents. Most especially, I am glad that our kids were able to see, feel, taste and appreciate the Philippines. So many things happened in the span of a year, and I regret that I did not have a chance to reconnect with everyone, and visit/do things I've wanted to do, but there will always be another chance in the future, for sure. We are back in the US for the holidays, and after another 2 months in DC for Tim's language training, we will be moving to Madagascar. I am excited about the African adventure that awaits our family. My mind has been preoccupied the past couple of months, I still couldn't get my finger on what I have been feeling since we left Manila in November. We left Manila in a rush, with Tim's job being so stressful towards the last few months (he did a great job, Obama left the Philippines without any bruises!) and all the last minute preparations for our move. Up to the last day, we dealt with many stresses that I could still feel the anxiety until now. We stopped by Tokyo before the grueling 24 hour door to door journey to DC, and enjoyed it! We arrived at 6pm, had a great dinner with one of Tim's friends, then put the kids to bed at our traditional ryokan. Around 9pm, I met my friend Carrie for coffee and dessert. It was so nice catching up with a very good friend. In the morning, we had breakfast at a nice bakery, then Kevin and Tim went to Akihabara, and Nina and I spent the day at the Ueno zoo. We met at about 2 pm, then went straight to the train station to get to the airport. We had a layover in Atlanta, with only about 5 hours of sleep on and off, then hopped on another plane to DC. We got to DC, picked up our rental car, then drove to our friend's house to stay for 2 nights. The kids ate dinner and we put them to bed. The next day, Grandma drove up from Pennsylvania, and we watched the Nutcracker, courtesy of Uncle Septime, who happens to be the artistic director of the Washington Ballet. The kids thoroughly enjoyed the beautiful sets, props and the dances, but dozed off 5 minutes before the final act ended, not because the ballet was boring, but because of jet lag. We woke them up with pizza and ping pong, then called it a night. The next morning, Grandma and the kids flew to Florida to spend time with Grandpa. Tim and I stayed in DC for another week for a very cool training. Details of which I cannot disclose entirely. Let's just say, it was very Mr. and Mrs. Smith-esque. I can say, after the training that the respect I have for Tim's job as a diplomat quadrupled, and I am very thankful for the people who serve and protect the embassies all over the world. I think foreign service officers deserve the same respect and appreciation that every officer in the military gets. Tim and I went to Florida after the training and did some relaxation with Tim's family. We spent some time in Disneyland and I think the adults enjoyed it more than the kids. (Thanks to Grandma for our Disney trip!) I tried to convince Nina to line up to get a picture taken with Ariel, and she said, "It's okay Mommy, I don't have to see her." We learned that to view the fireworks at night, we would have to pay for separate tickets, so we told the kids we were just going to have to miss that. They took it really well. Nina said, "Well, that was disappointing", but moved on in 2 minutes. We stayed at a cheap resort with water slides and they enjoyed that even more! Haha. The holidays with the Cipullo clan is always filled with excitement. I am amazed to see all the cousins getting along so well, and the family growing bigger and bigger. We are expecting one more cousin next year! It is true what they say that things do get better when your kids are 5 years and up. To my friends who are so tired from sleepless nights, tantrums, eating in a restaurant and travelling, things do get better when the kids have the facility of language and are more relatively mature. The challenges are different now - dealing with the difference in their personalities, deciding what things to talk about with them when they ask so many questions, and the struggle between respecting authority and speaking their mind. DC always welcomes us with open arms. After the holidays, we will be back in DC. My challenge will be keeping the kids preoccupied with structured activities, as I won't be enrolling them in school. The good news is there are so many productive things to do in DC. Between the library, indoor pools, community activities, museums and historic monuments, I think our days will be full. The next chapter in our life is looking great!